We accept credit and debit cards, Visa, Mastercard and Maestro. 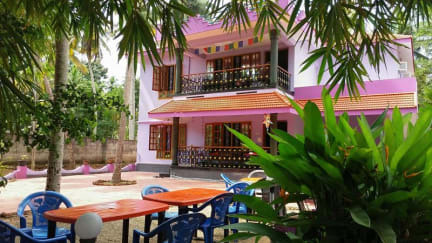 Casa Eva Luna is the name of Kerala Konnections homestay, located in Varkala. 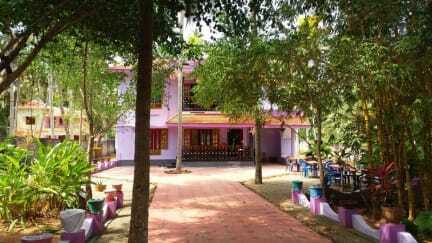 Situated a short distance from the beach and Cliff, and one hour from the capital of Kerala, Trivandrum. The house has two floors and is located on a 3000 square metre plot. It has two double rooms on each floor, each decorated in a different style that reflects the nature of the surrounding area. All rooms have marble floors, ceiling fans, attached bathroom, fitted shelves and draws, tinted windows and come with mosquito nets and towels. On the upper floor we have we have our Ayurveda treatment and massage room, offering .ayurveda massages and tuition courses.